Devil May Cry 5 is ranked in the 98th percentile of games scored on OpenCritic. Devil May Cry 5 is a firework. If you’re the one with the lighter, then setting the explosion off is a simple as flicking your finger. 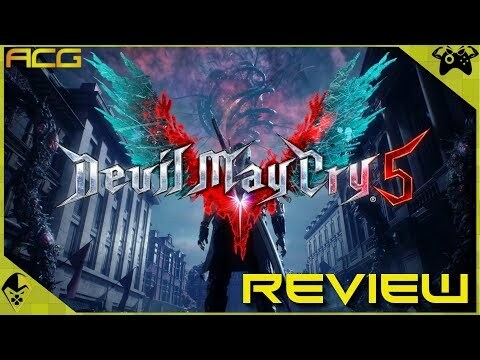 Devil May Cry 5 certainly provides moments of fun and if you can look past some aspects that belong in the last generation of gaming then you will have a competent action romp with Dante and friends. However I feel like this entry is a step backwards after DMC dared to shake up the formula a little more. Devil May Cry 5 is an absolute triumph. It’s a true return to form for a beloved franchise, and absolutely full to the brim with smash mouth, in-your-face action. One of the most stylish and slick fighters you’ll ever have the pleasure of committing to your hard drive. The authentic Devil May Cry experience is back at last. After 10 years Capcom learned from their mistakes and finally decided to bring the series back to its roots. Devil May Cry 5 is true to its predecessors and it manages to elevate the experience to another level. Don’t let the ‘5’ in the title intimidate you, the game is as much of a warm welcome to the world of Devil May Cry as it is a hard-earned treat for fans. Gameplay is refined and polished constituting a fluid and wonderfully satisfying action experience. Honestly, demolishing an endless stream of fugly demons with outlandish flair and snagging those ‘S’ ranks has never looked and felt so good. Every gamer should definitely experience this beauty! Devil May Cry 5 is simply one of the best pure action games of all time, and is easily in contention for Game of the Year. It channels the feel of an old-school PS2 game without ever feeling dated or weaker for it. The depths of moves on offer, the fluidity with which it can all be chained together and joys of chasing the elusive SSS sparked the same excitement in me that Devil May Cry 3 did all those years ago. Except Devil May Cry 5 is better. It is truly, truly fantastic. Devil May Cry 5 is a stunning hack and slash game and never fails to amaze. Combat this good should be illegal. It’s stylish. It’s cool. It’s supremely fun, fluid and rewarding. Capcom might just have outdone themselves with "Devil May Cry 5", because DMC5 is with no doubt one of the best action games that I've ever played. One of the best and deepest battle systems, making for an exciting game that always pushes you to do better and learn more, coupled to an eclectic and cool cast of characters starring in breathtaking scenes with plenty of enemies and bosses to strut your stuff on. A triumphant return after 11 years and an instant classic. Everything in Devil May Cry 5 is ridiculous in the best way possible. The action and combat system are ridiculously deep. The graphics and music are ridiculously good and the story and fan service is ridiculous as well. Devil May Cry 5 is a triumphant return to form for the classic action series, offering polished graphics and the series' best gameplay to date. Everything in DMC5’s presentation, from the dynamic soundtrack to the beautiful ethereal backdrop made possible by Capcom’s RE Engine, is so lovingly realised that at times it's hard to know what to focus on. Devil May Cry V is the best entry in the series and one of the best character action games ever released. In addition to its excellent combat mechanics and level design, which expand greatly on the elements introduced in past games, the story and characters had never before received such focus in Devil May Cry. The game may be lacking in extra content such as the fan-favorite Bloody Palace mode at launch, but don't let this small flaw prevent you from getting what will surely be one of the 2019 Game of the Year contenders. "As far as gameplay, I can't see many people not enjoying this. Devi May Cry 5 has been one of the best gaming experiences I've ever had." Devil May Cry 5 is easily one of my Game of the Year 2019 contenders, even though it’s only March! The smooth and fluid gameplay, combined with the over the top action and intense metal soundtrack, creates a truly demonic and exciting experience no matter what system you’re on. Although the story is a little fragmented and delivered out of order in places, the reconstructed narrative is just as wacky and creative as the gameplay! As a fan of the original games, I can’t help but love Devil May Cry 5. Not because it’s another game in the franchise, but because it’s clearly the best game in the franchise by a long shot and it’s also yet another amazing achievement from Capcom. Devil may Cry 5 is the newest masterpiece of Capcom in this generation. As a gamer who played all DMC games since 18 years ago, i should say that it is the best entry in this hugely popular series. Almost everything in Devil may Cry 5 are perfect and either you love hack and slash games or not, you should definitely play it. Amazing story, stunning graphics, various gameplay mechanics, high quality sound design and beautiful soundtrack, made Devil may Cry 5 a game that you should not miss at all. Devil, may cry, but fans definitely must laugh! Devil May Cry 5 is an amazing game. It is a must-own for fans of the hack-and-slash genre. Chaining combos feel fresh and there’s always the motivation to do better. Nothing gives you an adrenaline rush quite like killing demons with heavy metal in the background. And for that, this game is highly recommended by us. Devil May Cry 5 is the perfect distillation of what has made the series great. Satisfying combat, gorgeous visuals, cutting edge speed and fluidity, and a bold, brazen and completely devil-may-care attitude towards seriousness or self-consciousness. What a hell of a game! It does not just look damn good, it also plays that way! The fights are fast and easy to learn and we always get new weapons or skills. Nero, V and Dante all play completely different and occasionally you even have the choice of which characters you like to play, at these levels then this wannabe multiplayer is used, the idea is nice, but it would not have been necessary since the others Usually, players only see from a distance and you are busy with demons, or with the camera, especially with the small jump'n'run inserts, the camera is weakening. If you then go through the about 10 hour campaign, you unlock a new level of difficulty, can play the levels that you have previously played with another character, again to see what happened there and that's basically. Story is okay, but let's face it, fighting is just so cool that everything else becomes trivial. At the end of the day, Devil May Cry 5 is a fantastic game, easily worthy of a couple of awards at this year’s VGAs. The charm of the characters, the fantastic gameplay, and the Sensational sounds make a Stylish game worthy of the Devil May Cry franchise. Devil May Cry 5 brings variety to a genre that seems to have invented everything but nothing further from reality. Although the combats present some minor faults, the fact is that Capcom and Hideaki Itsuno's team have managed to get the genre back to the position it occupied for generations. Long live the children of Sparda. Long live Devil May Cry. A triumphant return for Capcom's coolest series, Devil May Cry 5 is a stupidly slick game that does almost everything right. It'll totally pull your Devil Trigger. 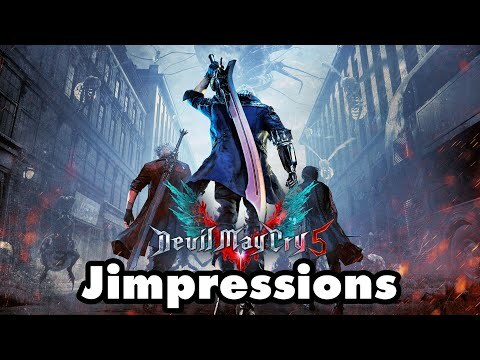 Devil May Cry 5 is one of the best entry in the series and fully represents Capcom reinassance. Three characters with three different combat systems are enough to satisfy every fan of stylish action. Devil May Cry 5 is a must-play title for action fans. The action is fast and fluid, and its accommodations for both skilled and new players make it easier for everyone to enjoy the gameplay. The title is packed with a healthy amount of levels and several different hooks to keep you playing after you finish the campaign. The presentation is stunning, and while the game does contain microtransactions, they can easily be ignored. Capcom has another winner on its hands, and DMC5 is an early contender for game of the year. Devil May Cry 5 is a game you could talk about a very long time, but all you need to know is that it's one of the best games of 2019 so far and you shouldn't miss it. This is how a comeback of a legend should look like. Capcom fills fans' dark souls with light! Devil May Cry 5 is an excellent return to form for the franchise, setting it up for a bright future. Nero's here, Dante's back in pitch-perfect form, and V provides a brand-new style of play. All Capcom really needed to do with Devil May Cry 5 was repackage the classic DMC gameplay with a modern coat of paint, but DMC 5 is an excellent, thoughtful update. Devil May Cry 5 returns in an amazing form. DMC5 is a worthy return to the main stage for action games, delivering unparalleled gameplay executed beautifully and with consistent, remarkable performance. Fans of the genre will love this title, and newcomers are likely to become fans. 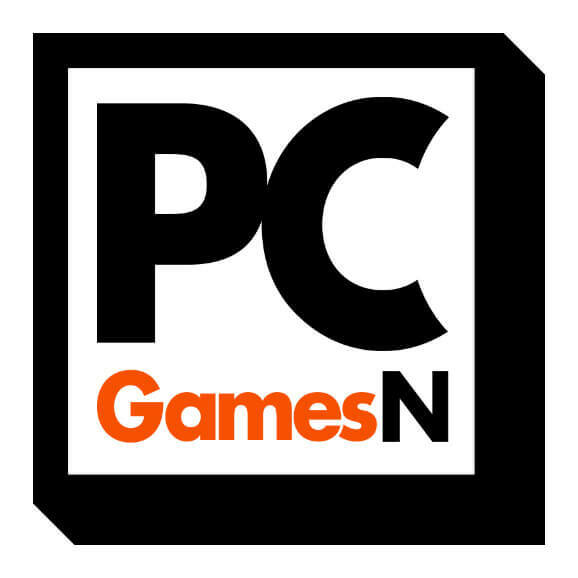 A character action game with three characters, all of which are unique and fun in their own right, is a crowning achievement in design. Beautiful, stylish, and with depth that I feel compelled to conquer, Devil May Cry 5 gives back what you put in. It might have small flaws, but Devil May Cry V is like a fine meal; it deserves to be savored, and if you do you'll likely want to re-experience it. The fact you might see everything it has multiple times over in doing so is just a bonus. An old school fun, engrossing, and incredibly deep action game. 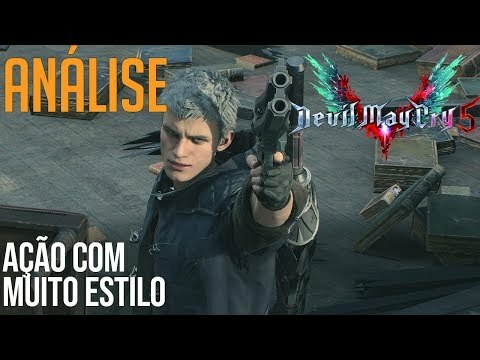 Devil May Cry looks extremly stylish thanks to the RE Engine and it also plays the same with lots of variety. Besides a bit to classic ending for the story and a carelessly integrated online feature long-time Fans and newcomers alike will get an amazing package filled with the usual Devil May Cry action paired with lots of new gameplay elements and a well-made atmosphere. After more than 10 years Capcom brings us a Devil May Cry game that truly topped our expectations. By adding a variety of new inovations into a well built formula, they created a game worth the wait. With Devil May Cry 5, Capcom tweaks the winning formula here and there to not only freshen up the most famous action hack n’ slash series around, but actually push it back to the top of the pile once again. 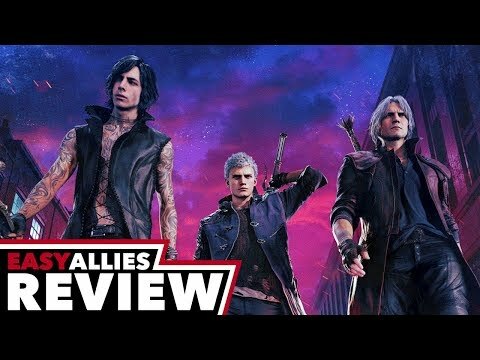 Yes, it stumbles occasionally, and perhaps replay value isn’t quite as high as it could have been, but Devil May Cry 5 once again embraces the kinetic madness that made so many fall in love with Dante and his blood-spattered adventures in demon-slaying in the first place, and that’s truly what makes this a great game. This game is proof that single player not only isn't dead but it can still be enthralling, enticing, and innovative. A perfectly judged comeback that's full of all the wild invention and stylish mayhem fans demand but proves surprisingly accessible and varied for everyone else. If badass characters dishing out stylish beatings on demonic baddies are your thing, then Devil May Cry is for you. So dive into hell with me and together lets earn some sweet ranks while we finesse some demons back into the underworld. Another great center for Capcom remains, an effective revival also (if not above all) from the technical point of view and the iconography. 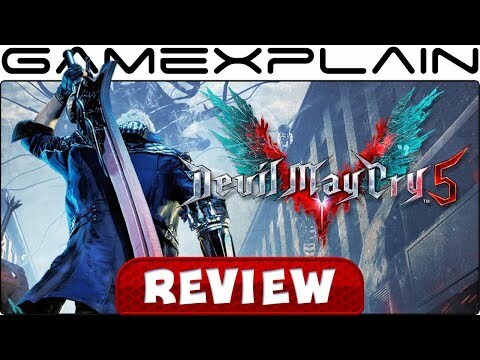 Devil May Cry returns in a resounding form, and reiterates that it is here to stay. Capcom are back on top and Devil May Cry 5 further cements their status as one of the best developers in the industry. Being the first, and likely only Devil May Cry game of this console generation, Capcom has really stepped up and delivered for their fans. What’s not to love? Devil May Cry 5 offers an excellent story with three very interesting protagonists, matched by superb gameplay delivering extreme style. Top it off with an awesome metal soundtrack, detailed graphics, and lots of modes to extend replay and you have the total package. Its action-packed gameplay, fantastic story and gorgeous visuals create the best Devil May Cry in the series and you don’t want to miss it. Devil May Cry 5 features incredible action-intense gameplay as well as gorgeous visuals, engaging cutscenes, and phenomenal audio. In the end, Devil May Cry 5 doesn't reinvent the wheel. Instead, it takes everything that fans of the series loved, dials it up to 11 and presents one of the best game in the series yet. Right up there with Devil May Cry 1 and 3 for me. Plenty of combat, the pacing is just right, and a nice amount of content to play through once you've reached the end. My only gripe is those blasted microtransactions, which I feel has no place in a game like this. A minor inconvenience in what I consider an enjoyable action game that I haven't been able to put down. It looks like Capcom has yet another GOTY contender on their hands. Devil May Cry 5 is every bit the game I was looking forward to and then some. Devil May Cry 5 isn’t perfect, but it’s a damn good Devil May Cry game. "Devil May Cry 5" proves to be a successful Hack'n'Slay with a sophisticated combat system. The three different protagonists all have unique fighting styles and weapons, so it's up to the player how he turns off the light to his opponents. However, especially the end bosses might be a bit more challenging, in order to push even pros a little bit more to the frustration line. If you stand for stylish action, an opulent staging as well as wacky battles, then "Devil May Cry 5" is the right catch for you. Devil May Cry 5 is an entertaining romp through the underworld made even more exciting by its three protagonists. There's almost too much to love about Devil May Cry 5, and I'm so glad Capcom is continuing to deliver games of this quality. 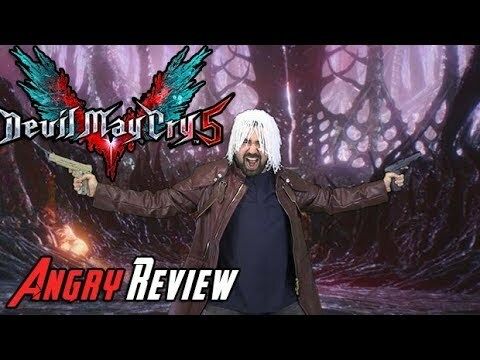 Devil May Cry 5 is a very good and engaging episode for the lovable franchise. 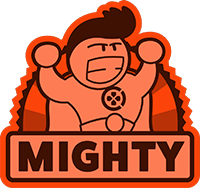 All three playable characters feel great, and you really should try it if you're a fan of the beat them all genre. Devil May Cry 5's risk-averse approach grounds it as other games in the genre are reaching for the sky.